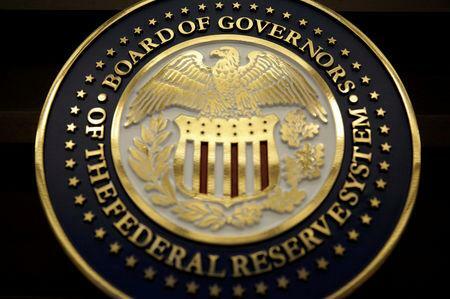 LONDON (Reuters) - A "wall of money" is set to flood into emerging markets assets now the U.S. Federal Reserve has eased the risk of a sharp rise in global borrowing costs, the Institute of International Finance (IIF) said on Thursday. The IIF, which closely tracks financing flows, said its high frequency indicators were picking up a "sharp spike" of inflows following last week's confirmation of a change of tack from the U.S. central bank. "Recent events look likely to restart the 'Wall of Money' to Emerging Markets," IIF economists said in a report. "The hunt for yield will put positioning front and centre," the economists said, adding that in contrast to Brazil and Russia, South African assets had been heavily bought up already. The MSCI index this week scored a rare 'golden cross' where the 50-day moving average overtakes the 100-day moving average, something seen by keen chart watchers as a positive signal for things to come. "(Extrapolating) the year-to-date flows to a quarterly frequency shows that Q1 is tracking around $48 billion, a number that is already equal to strong EM inflows in 2017 and likely to go higher," it added.